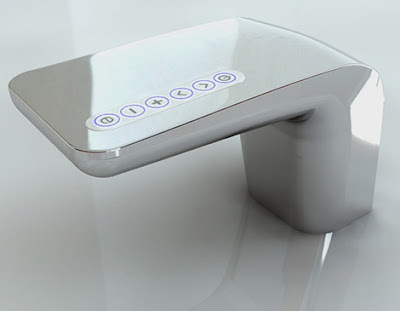 Collection of 'Cool Bathroom Faucets and Modern Kitchen Faucets' from all over the world. 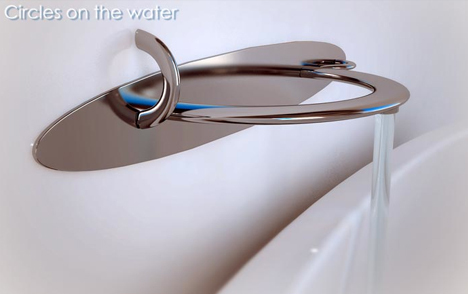 Ring Faucet: The simple design visually frames flowing water in a circular fashion, and gives you a full view of the water just as it falls over the edge. 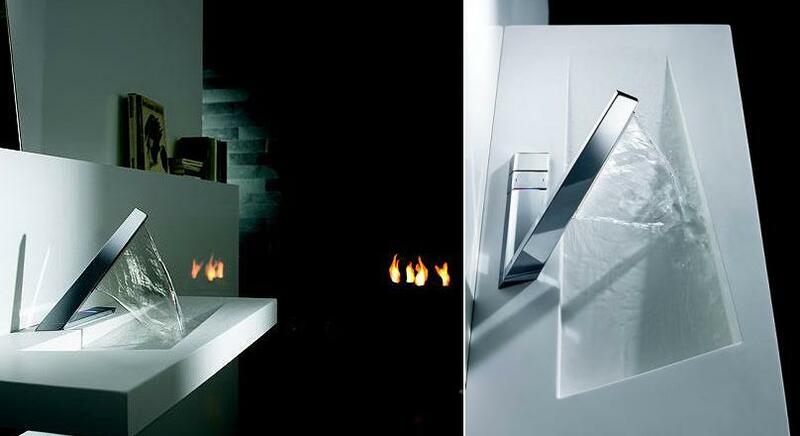 400 Faucets: "400 faucets" is a series of contemporary bathroom faucets designed by Antonio Fiorentino. 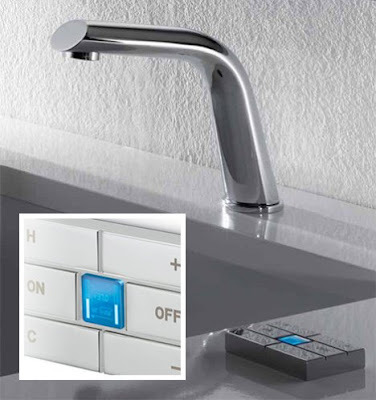 Hansa Latrava: It's a faucet design from Octopus Design. 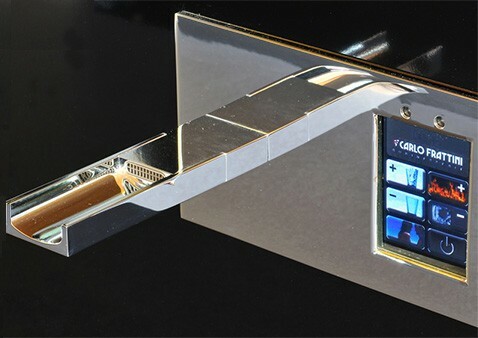 What makes it interesting is that the shape of the water flow is a continuation of the hardware. 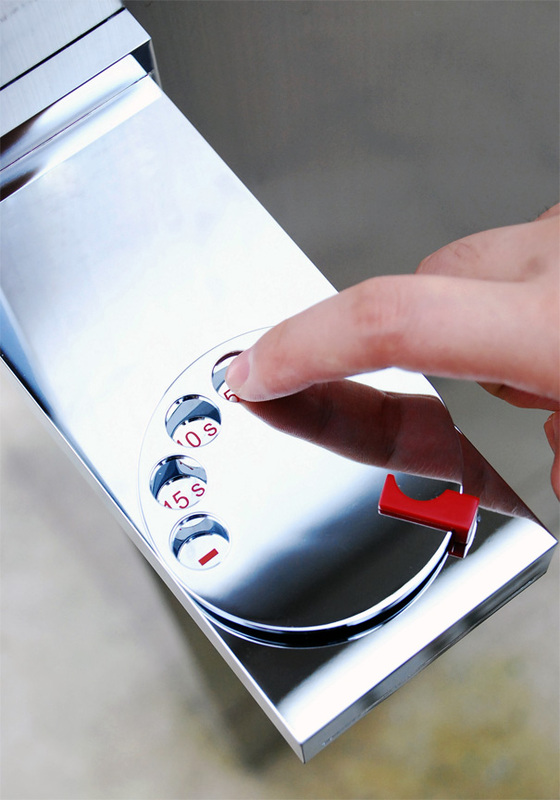 X-Touch Mixer: It allows you to have full digital control over both the flow and temperature of water and in the middle of the keypad is a display that changes color to indicate the current water temperature. 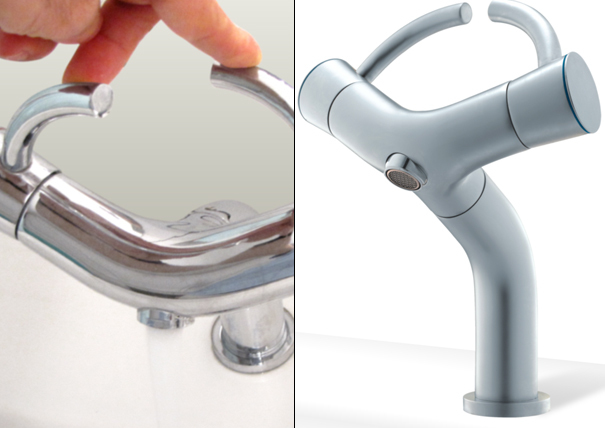 Circles on the Water: Designed by A Bondarenko, one is a wall fixable bath mixer and while other is the kitchen mono mixer. 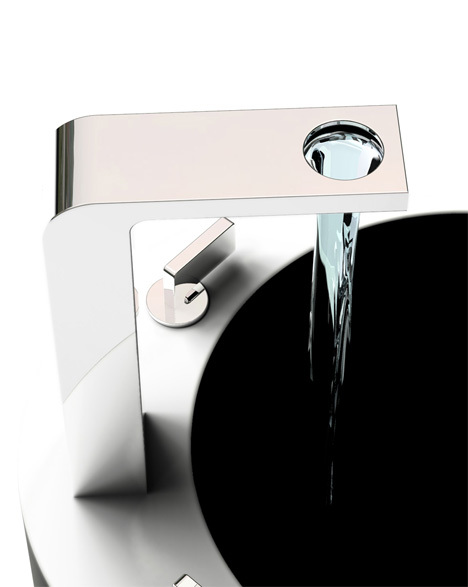 Wings: A faucet system by designer Kobi Kor that uses the bird's pride-like handles to flow the water. 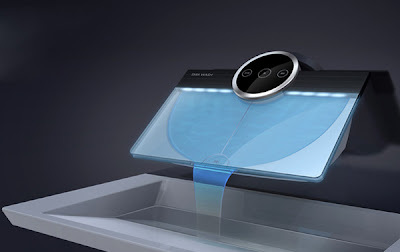 Nomos Kitchen Faucet: This high-tech kitchen faucet comes with a touchscreen. 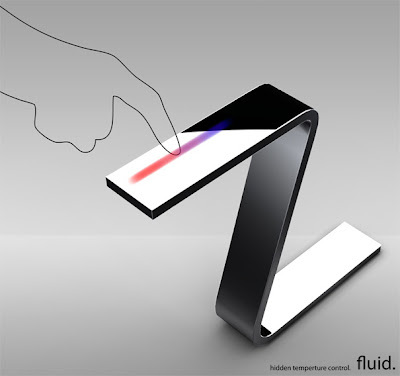 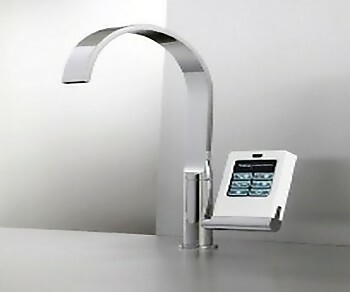 Electronic Faucet: The touchscreen on the Frattini electronic faucet controls the amount of water, allows you set temperature and even turns off the flow of other faucets in the house. 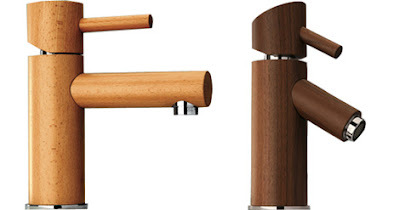 Wood Faucet: These wooden faucets comes from Italian company Omax Wood and are a part of Sherwood line of faucets and fittings. 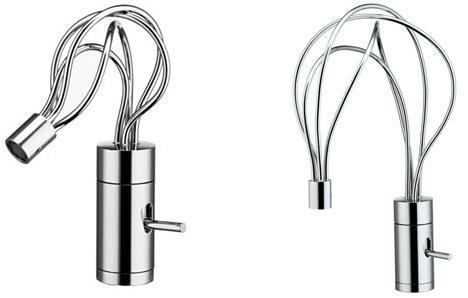 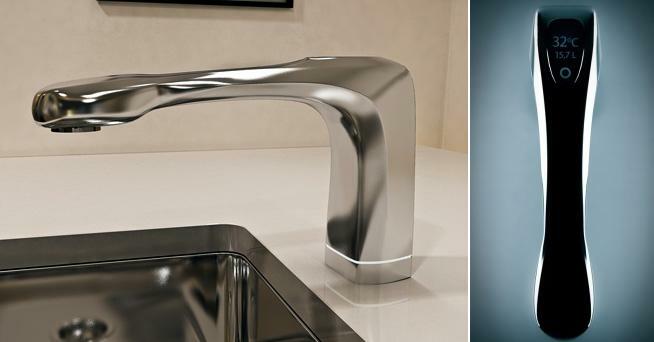 Newform Morpho Faucet: These faucets are more like sculptures than hardware. Don't miss to check out "15 Cool Bathroom Faucets and Modern Kitchen Faucets - Part: 1| 2| 3." 15 Creative Holders and Cool Holders - Part 3.